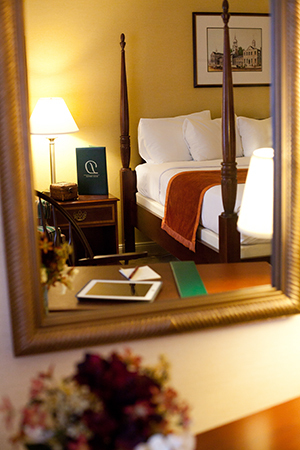 A full service hotel with three award-winning dining options on site. Complimentary next generation high-density Wi-Fi in meeting rooms, public areas and guest rooms. Complimentary Desmond shuttle is available for transportation within a six mile radius of the hotel. The Desmond is “more than just a room”.